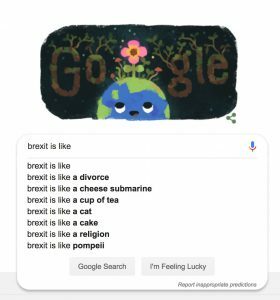 Have Brexit negotiations met an impasse (where the first vowel sounds like the vowel in ‘him’), or an impasse where the vowel is like the initial sound in the French word bain /bɛ̃/? Or is it something in between? If it is the former, congratulations! This borrowing from French has been successfully integrated into your native phonology, whilst simultaneously making a nod to its orthography. If you opt to French-it-up then you have recognised that this word is not an Anglo-Saxon one, and that it should be flagged as such by keeping the pronunciation classic. Or you are French. Choosing which pronunciation to use for impasse is both a linguistic and social minefield, with every utterance revealing something about your education and social networks. No pressure then. Recent news reports are providing a very rich corpus of data on the pronunciation of this specific word, with many variants being used within the same news report by different speakers, and perhaps even the same speaker. For those yet to commit, choosing which to pick may be bewildering. So how do we avoid this impasse? Perhaps unsurprisingly, one tactic speakers use is to avoid using a word they aren’t confident pronouncing altogether. It might be safer to stick to deadlock. 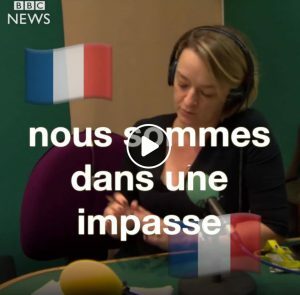 Watch BBC Political Editor Laura Kuenssberg translate deadlock into German, Spanish and French. Ultimately, our cousins across the pond may have some influence in resolving this issue in the long term. The OED lists only two variants for U.S. English, with variation based on stress, not vowel quality, and U.S. variants of words (e.g. schedule, U.S. /skɛdjuːl/ vs U.K. /ˈʃedʒ.uːl/) are widely adopted in the speech of the UK public. But this will not necessarily be the case and the multiple UK variants may continue for some time. The impasse goes to show that languages tend to tolerate a whole lot of diversity, even when the world of politics doesn’t.